b) WTF dude books for younger readers are often GREAT. 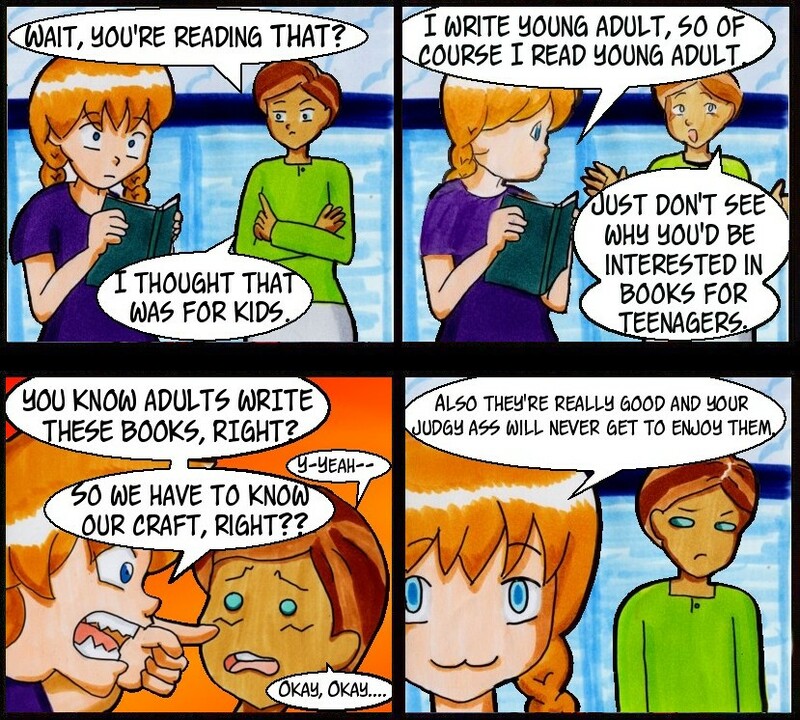 Nobody belongs judging someone else’s choice of literature based on perceptions of what’s age appropriate. If YOU’RE not interested, that’s up to you, but shaming other people for what they like to read is totally weird and unnecessary. Go away.